You’ve surely seen a time management website that promises to make you more efficient. In a sense, Time Management Tao itself operates on that premise, though we take a more educational approach towards this end than providing you with tools and shortcuts. Anyway, is a time management website really helpful? Does it save you time? Or is it just another way to waste time online? Many of us who struggle to manage time are struggling under an overwhelming burden of tasks and deadlines. You’re a caregiver for your family. You probably have pets that depend on you. You have regular chores around the house, in your yard, and personal care to handle. This is in addition to everything related to your job, career, dreams, goals and future. Whew! That’s a crammed personal schedule. So how to solve your dilemma of not having enough time? A time management website that is supposed to save you precious minutes or even hours can be a boon – if it works the way it is supposed to. A time managing website may charge you for access, or offer stuff for free. Some have basic services for free, but you will have to pay for the premium features. A time management website like Myhours.com will help you track the time you spend on projects. You’ll be able to tell which components of your work are the most profitable, and help you deliver on your biggest goals. Of course, you’ll first have to enter enough data to enable the system to correctly identify your activities as being useful or not. The trouble with a website like this is the learning curve you need to go through before you get the hang of things, and the time that you spend on setting things up at first. While it may suit specific professionals such as writers and freelancers who get paid for their time, it may be wasteful to work with such a system for many others. Toggl is another time management website which gives you a timer to click on and off when you begin and finish a task. This helps keep a log of your online time, which can let you identify interruptions like unscheduled email checks, phone calls, or people breaking your work flow. Knowing how often you get sidetracked will give you a kick in the pants to concentrate on work and focus better. The problem with using a service like this is that you’re often unconscious about distractions and delays that take you away from your work. It’s usually a few minutes (or hours?) after you’ve been lured away into Facebook’s rabbit holes, or YouTube’s video entertainment, that you realize you’re not working – and have forgotten to log the time you transferred attention! Other programs make this switch automatically, each time you change an application or program. It will not uncover which browser window you work on, or whenever you click on to a time-wasting website, though. The automatic nature of the time log is appealing to some users. Knowing what fraction of your work day is spent actually on project related activities can serve as a useful indicator of your efficiency and ability to resist distractions. If you’re the kind of person who thrives on specific reminders related to your ‘to do’ list, then a service like FlyLady can be of value. It will send you emails throughout the course of your day, based on a schedule you input into their system previously. The reminders force you to focus on a specific activity at a particular time of the day, driving you towards getting all items on your list done. So much about being a winner is to do with how you think. perspective we give it can differ. how you believe in OTHER things related to it. striving to stand out, excel, WIN at the game of Life. chalk up to experience. To improve upon – the next time. And that’s why winners celebrate success. Even small ones. respect their accomplishments. Lessons learned in life. Go change the world, you WINNER! Most books on time management I’ve read place a high emphasis on being disciplined. Personally, however, I’ve found it hard to follow… and stifling too. Most home-based business owners and entrepreneurs choose to follow that somewhat unconventional path to following their heart essentially because they don’t like the confining environment of a disciplined, organized workplace. To replicate what they hate in their own business is often hard to do. But here’s the good news – I’ve personally found decisiveness and determination a lot more effective in helping learn time management skills and better manage time than a stringent adherence to a time-table or imposed limitations. My own workspace is apparently chaotic – though I can find anything within seconds. My computer files are pretty unstructured – but have a rough system or organization. My notes are often jumbled up and mixed – yet I can often compile them for a project. I’m decisive when it comes to selecting or making choices. When I read email, there are only 3 quick choices to make – delete, read and reply now, or leave for later. It takes me less than 3 seconds per email to decide. I’m determined to get important things done. This pig-headed stubborness at getting stuff finished has helped me achieve a lot more than I could have managed – even if I were meticulously disciplined. And that’s why the best way to learn time management skills is to get your hands dirty, and try out whatever system or method you want to learn. For instance, let’s take the important, every day time management secret of how to productively use travel time. All of us travel, often for a large part of our day. And during that transit period, we all have what we appreciate is “down time”. It may amount to a few hours every day. So, how best to use it? You might imagine it takes an elaborate time management strategy to come up with an answer – but it actually is quite simple, if you take the hands on approach to learn time management skills. I always take along a book or other reading material with me, or have audio recordings that I can listen to while driving. Whenever a “dead” moment pops up, I have some productive way to use it. This may have been taught in one of the many time management courses I studied, but adapting it to my unique circumstances takes practical application. Of course, sometimes it’s best to simply allow yourself to be bored and just rest if you’re really tired. But the best way to learn time management skills and understand how to optimize your utilization of that precious resource is to try out different things and find what works best for you. You can also learn more about time management by signing up for our free email newsletter, the “Time Taozine” and exploring the rest of this site as well as the Ming Vase Time Management guides. Time management templates can help organize your work day and manage your to-do lists. But by itself, using a template driven approach won’t reduce stress or enhance fulfillment. Here’s a simple principle to show you that there’s always time for the important things in your life. Time management templates have guided our very existence. Right from an impressionable young age, we have been indoctrinated in the power of being effective and organized, meeting deadlines and targets, keeping promises, and getting things done on schedule. There’s nothing wrong with that. 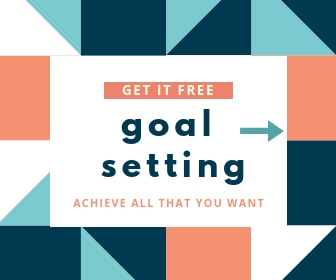 In fact, it’s highly desirable – provided you can achieve your goal without becoming stressed out about it, or getting frustrated if it doesn’t happen! That’s the problem with time management templates guiding your work and life. You become a slave to routine that imprisons you and keeps you from enjoying your time and your life. What you’re about to learn now will change that paradigm, and show you how to slow down time to find greater fulfillment. In the “good old days”, we had constraints imposed upon time, which broke it down into meaningful chunks. Every day’s news was delivered in the morning by the newspaper or radio/TV channels. Today, we have 24/7 news broadcasts – and the Web to take it mobile. When you wanted share price information, you had to call your stock-broker who had a guy on the floor to relay it to you. Today, we have live streaming feeds. You received your day’s task-list when you arrived at work and met with your supervisor or boss. Today, there’s email, SMS and Web based collaboration to issue you orders round the clock. We rush around at warp-speed, and think the world itself is speeding past as well. It’s only when we take a break from our hectic routine, go off on a holiday, or visit a different culture, that we realize that not everyone is in a tearing hurry all the time. It’s upto ourselves to take responsibility for slowing down time. For throwing away the time management templates that control our existence. To re-define the meaning of managing time well. Once you pause to think, and realize that it’s within your capacity to take control and make a change, it’s a liberating moment – because you suddenly realize that your 24 hour day grows longer simply by choosing to focus on doing different things. The corporate world rewards you for rushing and doing things quickly. Doing them for longer time than others. And faster than your peers. Trying to win that ‘race on a treadmill’ takes a serious toll on you. You have less time for yourself, but are in a constant whirl of activity. That affects your health, happiness and harmony. To change it, and create time management templates that work in your favor, you must shift focus to fulfillment, rather than always being busy. That’s why Time Management Tao begins with finding your center – the important things that need to get done. Think about something you’ve always wanted to do. Imagine that you stop doing everything else you’re involved with, to focus on that single thing. Could you get it done? “But I can’t just drop everything else!” you cry. That’s true. But you can drop enough other things that are less important when you identify correctly the things that are most important to you. There’s always enough time to do what matters. The difficult part is identifying what’s important – and then dropping long lasting habits that keep us engaged pursuing activities that are meaningless in the long run. There are some excellent tools for time management that have stood the test of time. But just as a top class hammer won’t make you a great carpenter, even the best time management tools need to be used in the right way. Make your lists regularly. But don’t put things willy-nilly on it. Limit your to-do list to the things that really matter. In the Ming Vase Time Management series of guides, you’ll learn the best ways to go about this. Setting a higher priority on things that matter more to others than to yourself will keep you from being fulfilled and satisfied, stuck on the hamster wheel of trying to manage time. What matters most to you should always take higher priority. Various computer programs and applications can help you save time and streamline your activity. But unless you’re working towards your goals, the time you save will only be wasted on other ineffective projects. Know what you want, and then pick the right tools to help you get there. Here’s how you can get there. Explore the rest of this site for free information about managing your time better and finding better balance and harmony in your every day activities. And keep updated with new developments by joining our “Time Taozine” email list. It’s free, and you’ll get weekly tips on time management to boost your productivity and enrich your enjoyment of life.